When families or individuals shop for a home, many times they go straight toward the kitchen. They want to see if the whole family will be able to gather and talk about their day, people want to know how much space the cabinets hold, how the layout works with the surrounding rooms in the home like the living or dining room, and how big the countertops are. There’s no question that the kitchen is one of the most important spaces in the home. So, when you moved into a home with a kitchen that wasn’t quite up to your standards, or if it’s simply time for a kitchen remodel and upgrade, there are a lot of factors to consider and it can be overwhelming trying to find where to start. Serving Huntsville and the surrounding areas, Lee Brothers Construction has a team of contractors that are highly skilled and experienced, so you can rest easy knowing that whatever your project entails, it will be done beautifully and only with the highest level of craftsmanship. We can help you plan, choose materials, and help you stay within your budget. So before you get started, keep reading to learn about some of the biggest factors that go into a kitchen remodel. Set the tone for the overall kitchen design. Help improve the functionality of the space. Have a significant impact on the overall storage of the kitchen. Before you start looking at styles, materials, and features, think about how long you will be spending in your current home. Because the cabinets can be such a significant cost (up to 40 percent of your overall budget), it’s important to keep the design fairly neutral, especially if you are planning on selling soon. The last thing you want is to spend thousands of dollars on a fully custom kitchen that is perfect for your style and personality, only to move out and the new owner starts all over. How much you spend on kitchen cabinets will depend on the quality, type, and features of cabinets you choose. For some remodeling projects, kitchen cabinets can take up as much as 40 percent of your overall kitchen remodel budget. Generally, you can choose between stock, semi-custom, and custom cabinets, each with their own pros and cons. Stock, Budget Cabinets: Perfect for the cost-conscious homeowner, stock cabinets can start somewhere in the area of $70 per square foot. Some stock cabinets come fully assembled, making it a fairly quick and painless installation process, others need to be assembled on site. These are also a good option to consider if you don’t need the fanciest styles, but do want the option to have them made with solid wood. However, these types of cabinets are often made with veneered particle board and have limited style, trim, and size options. Semi-Stock, Mid-Level Cabinets: These cabinets tend to have more style to them, and feature a frame around the door and drawers. The benefit of semi-stock cabinets is that you do have the option to customize the size, material, finish, and other features such as crown molding and trim. Just keep in mind that the more basic cabinet can still be made of veneer particle board, which will affect how long the cabinets last. Typically, semi-stock cabinets start at $150 per square foot. Semi-Custom, Premium Cabinets: If you want to have more control over the storage, size, material, and other features of your cabinets, it may be worth the starting $500 per square foot price tag. Just remember that the more custom you make the cabinets and the higher quality materials, including hardware and cabinet material, the closer you are getting to fully custom cabinets. The good news is that your finished kitchen remodel will be exactly how you want it to be. Doors: Depending on the manufacturer, you can choose between a range of styles and materials at different price ranges. For an average cost, look for frames made with solid wood and panels made with wood or plywood. Drawers: Drawers typically see the most wear and tear, so look for drawers with solid wood sides and dovetail joints. Some budget cabinets will have stapled particle board, which are inexpensive but are not quality. Hardware: The hardware is more important for drawers rather than the cabinet doors. For higher quality, look for full-extension drawer guides over side rails or double-roller designs. And if your family has a tendency to slam drawers or doors, consider a “soft close” feature which will prevent doors and drawers from slamming shut. Shelves: If you’re planning on storing heavier items or appliances in cabinets with shelves, shop for ¾” plywood over ⅝” or ½” particle board. The lower quality shelves will eventually begin to sag. Mounting Strips: Again, if you have heavy items or appliances, you want to know that the cabinets will remain on the wall. Use ¾” wood or metal strips with bolt holes. Storage: Kitchen cabinets are essentially storage pieces, so it is definitely worth spending some time thinking about the layout of the cabinets in order to maximize storage. Consider installing a variety of sizes and shapes so that even the most awkward kitchen utensils and appliances have a home. Countertops, even though they won’t be a significant expense across the entire kitchen remodel, can be one of the more important decisions. For smaller remodels, you may spend somewhere between $900 and $1,100; for larger remodels, you can spend somewhere between $6,500 and $8,500, depending on the material, size, and placement. How much effort do you want to put toward maintaining the material? Do you want to avoid a seam? Do you want a natural material? Does the material need to be durable? Does the material need to be stain-resistant? Don’t turn your nose up at laminate countertops quite yet. This material has significantly grown in quality since the days of peeling corners. If you want a wide selection of colors and design choices, laminate gives you the freedom to choose a look that will fit the overall design of your kitchen. These countertops are lightweight and easy to clean. Laminate is also one of the most affordable materials, coming in at around $1,500 including installation. The downside of laminate countertops is that they are not as durable as the more high-end materials. They will more easily stain, burn, scratch, or chip, so it’s important to use a cutting board and to clean up spills as quickly as possible. When there is too much moisture, the area can eventually peel. Another material that gives you plenty of color and pattern options, tile makes it easy to create a custom look that is like no other. Popular Mediterranean or Spanish themes give homeowners an opportunity to create a bold, colorful look, you can choose a single color, or create a pattern on your own — the possibilities are endless. Tile is durable, stain-resistant, and it’s easy to replace a single tile if it were to chip or crack (just be sure to save a few tiles from the initial installation). The negative side of tile isn’t the material itself, but actually the grout that is used to install it. When not cleaned and maintained properly, there’s a risk of staining and bacteria growing. The grout should also be regularly sealed to help prevent this from happening. Tile countertops can cost around $1,900 including labor, but this can vary depending on the type of tile and how difficult it is to create the desired pattern. This material can give you the look of natural stone, but it’s actually engineered using a combination of resin and quartz. 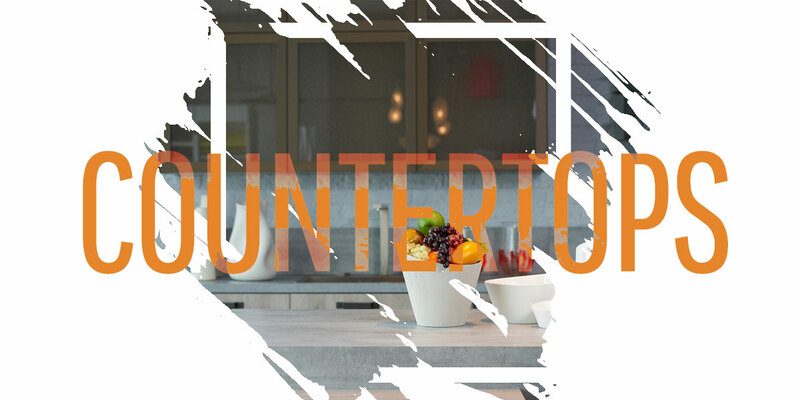 These countertops are around 94 percent quartz and 6 percent polyester resin which act to bind it, provide color, and protect the surface from stains and scratches. Quartz countertops are non-porous, so unlike granite, you don’t have to worry about sealing it. This material is also easy to clean, antimicrobial, and is a great choice if you want a wide variety of colors to choose from, including blue, red, or green. The downside of quartz is that it’s not heat resistant, so be mindful of where you are placing hot pots and pans. On the more expensive side, quartz countertops can cost around $2,000 with installation for a medium grade quartz. A classic, high-end choice, many homeowners in the Huntsville area look for granite countertops, and for good reason. The material is easy to clean and maintain, is heat resistant, is available in a variety of colors, won’t chip or stain, and will give your kitchen a beautiful look regardless of what cabinets or appliances are installed. This natural material does make it one of the heavier countertops and an incredibly important step to maintaining granite is regularly sealing it. Sealing granite countertops should be done once a year to ensure the material remains stain resistant. With all of these benefits, comes a higher price — expect to spend around $4,000 with installation. Although any kitchen remodel couldn’t go wrong with the style and beauty that comes with marble countertops, it is one of the more expensive options and it has several downsides. There is a greater risk of chips and staining with marble and there is a significant cost. Marble countertops can cost up to $4,600 with installation. This is a factor that can sometimes be overlooked when planning a kitchen remodel, but when all is said and done, it can have the greatest impact on whether or not you and your family love spending time in the kitchen. 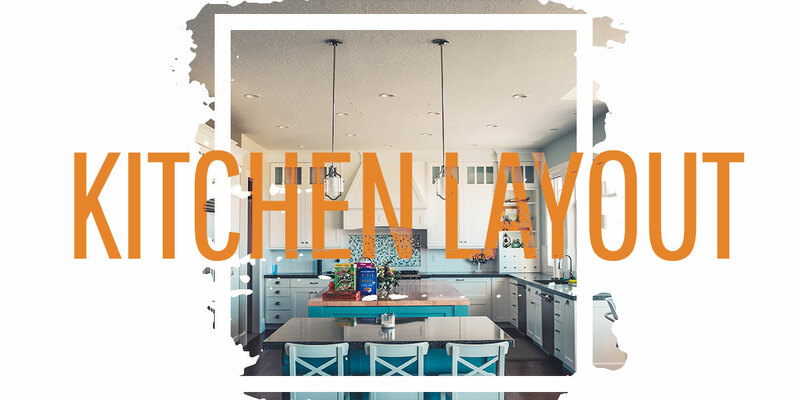 If you have an opportunity to change the layout of your kitchen, there are some very important things to consider. The contractors at Lee Brothers will ensure a strategy is fully thought through so that you can cook a meal, put dishes in the dishwasher, and help your kids with homework at the same time. This is kitchen remodel 101 — Being aware of the triangle that is made when the cooktop, sink, and refrigerator are connected, and ensuring traffic remains outside of this triangle. Typically, there is only one or two people cooking at the same time, so giving yourself enough space within this triangle will make the space as functional as possible. U-Shaped: The sink, stove, and fridge should all be on a separate wall of the U, giving you plenty of open space in the middle to walk around as well as plenty of countertop space in between each appliance. L-Shaped: Reducing one of the walls requires two appliances to be on the same wall. To create an open floor plan with an L-shaped kitchen, extend one edge of countertop and create a breakfast area. Galley: Although this layout is beginning to go out of style, there are still benefits. Galley kitchens are great for smaller spaces that still need a lot of storage options and the two walls create separate work spaces. Just be sure that there is enough space between each wall. Island: All of the appliances are on a single wall with an island that separates the working space from the living or eating space. Peninsula: Similar to an island layout, except the island is a part of the remaining countertops. This provides a lot of counter space. Working Space: Whichever layout you choose, be sure that there is enough working space around each appliance. If you’re pulling handfuls of food from the fridge, you’ll need somewhere nearby to set them down. Dishwasher and Sink: When these appliances are close together, there is a lower chance of dripping all over the floors. With that in mind, you also don’t want to install the dishwasher next to a wall so you only have one side to access it. Lighting: Not many homeowners look forward to working in a dark kitchen. Think about lighting placement, including on the ceiling, walls, and below cabinets. Windows: To go along with lighting, utilizing natural light from a window will brighten and open up the space. If you’re doing the dishes, looking at a window is a pretty ideal scenario. Pipes and Ductwork: If you move walls, consider the cost of having to move around pipes and ductwork as well. As experienced kitchen remodel contractors, we will bring this to your attention right away. Not Having Fun: Yes, a kitchen remodel can be a long process, but overall, you’re designing a kitchen that you’ll hopefully spend years in. Don’t be afraid to add your own style and personality. Not Looking at the Little Things: There is a lot to cover when talking about a kitchen remodel, including the backsplash, floor material, light fixtures, cabinet colors, hardware, seating, accessories, and more. Spend some time thinking about the importance of each element. Changing Your Mind: If you decide on a different cabinet type after they are ordered, it will cost you. The same goes for countertop material, appliances, floors, and more. We know you have a lot of contractors to choose from in the Huntsville area, so why should you choose us for your remodel? Our team is committed to providing superior service, the highest quality installation, and a level of expertise that you can trust. 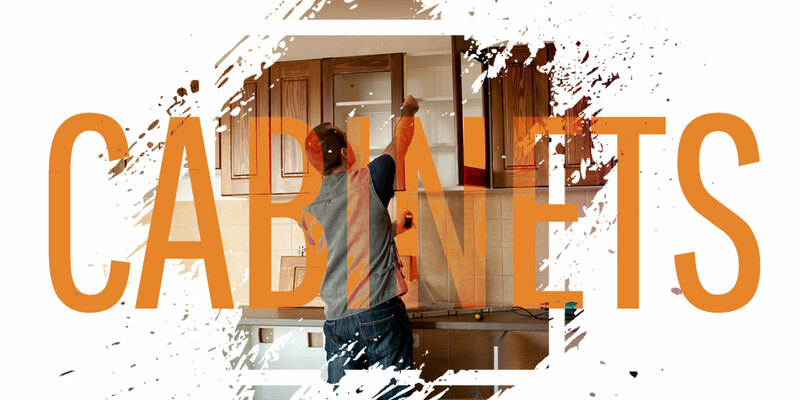 We don’t want to just come into your home, install some cabinets and countertops and move on. When we’re working in your home, we’ll treat it as our own. Even if we are just doing a kitchen remodel, we’ll make sure that the surrounding spaces are taken care of as well. Dust, debris, and dirty shoes will never upset your family’s life. We also realize that you may have spent months or even years saving money for this remodel. We strive to give you everything you’ve always wanted in a kitchen, but we will never pressure you into spending more money than is necessary. Yes, we may suggest a higher quality cabinet simply because we know that it will last longer and give you a higher value for your money, but we guarantee that we will always listen to what you want and need. If it’s time for a kitchen remodel in your home, get in touch with our contractors today for a consultation. We work in the Huntsville area as well as The Woodlands, Riverside, Onalaska, Livingston, and others. If you have any questions, call us today, we’d love to have a conversation about how to get started.